Highlighted analysis of: Task Achievement/Response, Coherence and Cohesion, Lexical Resource, and Grammatical Range and Accuracy. 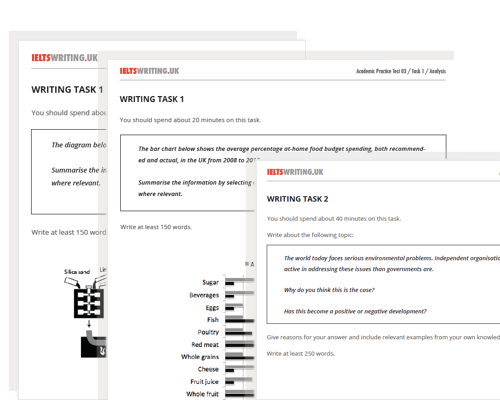 Task 1 questions include: process questions, data questions and multiple chart questions. Task 2 questions include: point of view questions, argument questions, argument plus point of view questions, two-part questions and problem-solution questions. 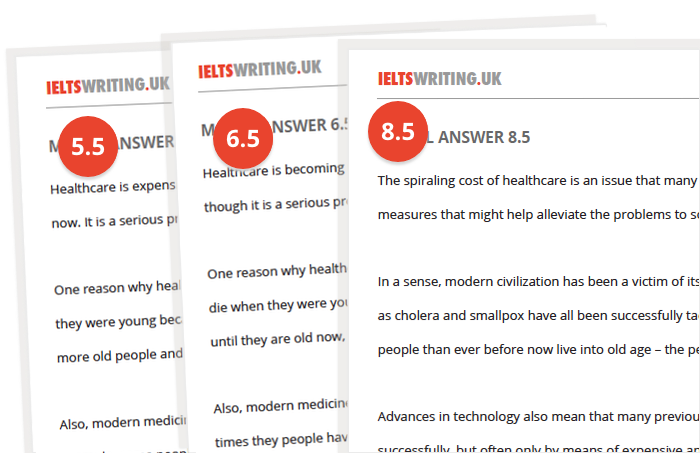 Get better at: understanding questions, getting content, organising content, writing and checking your essays, all within the tight time limit. Learn from top quality content produced by a team of former British Council IELTS teachers, IELTS examiners and professional writers. Build your vocabulary and expressions for each of the common IELTS topics.